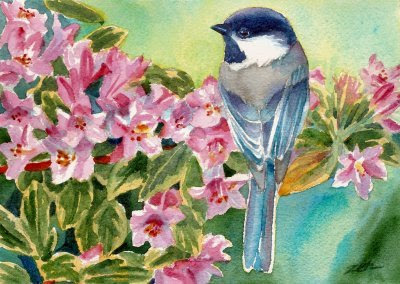 This little chickadee has just landed on a blossoming weigela in my garden. I love his alert pose and eyes. He and his mate have a nest full of babies to feed and his days are full!